November 2, 2016 by Nicholas – In which we discuss the various things that will go into a post-launch patch for Clockwork Empires. In which we launch version 1.0 of Clockwork Empires like a freshly-hatched, glistening moon-spore! Clockwork Empires Launch Trailer - 1.0 goes live on Steam tomorrow! Clockwork Empires launch trailer -- get ready for the 1.0 launch tomorrow! So they drove this one against the wall, I guess? Why you guys promised so much? Silence... More than you could listen to in a lifetime. What kind of game is Clockwork Empires? Clockwork Empires is a sandbox colony-building game set in a fantastic ahistorical steampunk world which may include cosmic horrors lurking at the edges of reality. You take play as the Colonial Bureaucrat, giving orders, creating assignments, and designing structures in a frontier settlement for simulated colonists who make autonomous decisions based on their traits, experiences, and memories. It is up to you to ensure the survival of your colonists and bring glory to the Clockwork Empire! Or, really, you can do whatever it is you feel like doing. What's the worst that can happen? 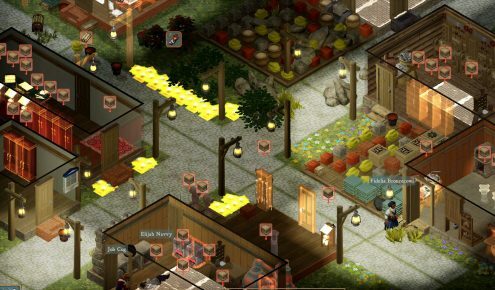 Can you fit Clockwork Empires neatly into a genre of games? If you like elements of city-builders, management sims, procedural narratives, tycoon games, and eldritch horror then you might enjoy Clockwork Empires. Is this an "Early Access" game? No, but it used to be! On October 26th of 2016 Clockwork Empires released version 1.0, so it is no longer in Early Access. Early Access means that we released an early version of the alpha and beta versions of the game to the public. This means that people could play the game while it was still being developed. This process provided us an opportunity to benefit from players' suggestions and commentary about what they found too hard, too easy, too frustrating, and what was fun. It was a chance for players to get an early look at the game in the midst of the development process and help us to make it as good as possible. You can read a high-level overview of the development of the entire project on the Development Progress page. We also write regular updates on our development blog and we will answer questions and join discussions on the Gaslamp community forum. Where can I follow news about Clockwork Empires and Gaslamp Games? The Gaslamp Games development blog is regularly updated. We also have a Twitter account and a mailing list. Is there any always-online DRM? Where can I buy Clockwork Empires? You can purchase the game through Steam and Humble. May I have permission to show my videos of Clockwork Empires on Youtube? Yes! Please see our blanket permission form here. Copyright © 2019 Gaslamp Games, Inc.
You are viewing the COMMUNITY PORTAL. You can also JOIN THE COLONIES!